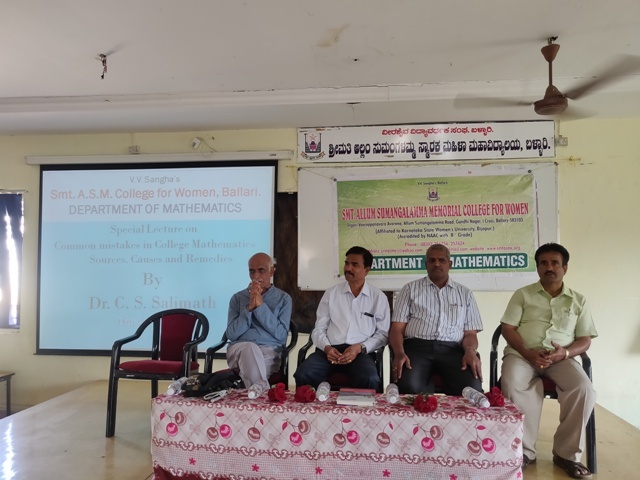 The Department of Mathematics of V.V.Sangha’s Smt.ASM College for Women had organised a “Special Talk” on the topic, “Mistakes in Mathematics” on 14th March, 2019 in the College Seminar Hall. 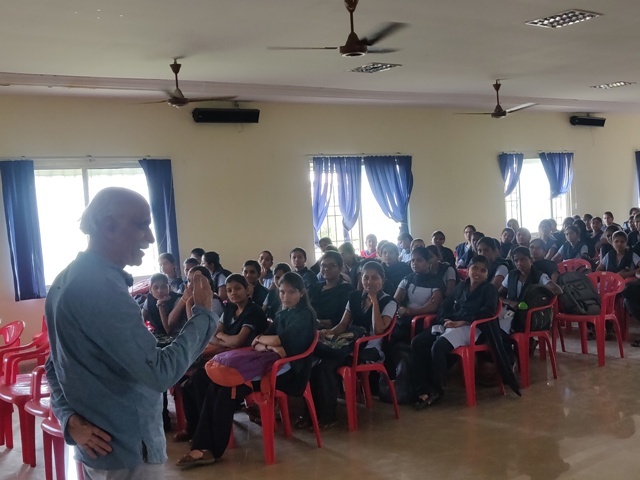 Dr.C.S.Salimath was the Chief Guest and Resource Person delivered a comprehensive lecture on “Mistakes in Mathematics”. The lecture was followed by an interaction with the students. Principal Dr.S.Y.Thimmareddy presided over the event and delivered the presidential remarks. Dr.Prabhaiah.V.S., Principal, Vijayanagara College, Hosapete, was the special invitee and also spoke on the occasion. Kum.Suvrata Hegde invoked the event. Kum.Goutami compeered and Kum.Akshita introduced the guests. Kum.Preeti proposed the vote of thanks. Shri A.Mallikarjuna Goud, HoD & Associate Professor of Mathematics was present on the occasion.